Norm Paulson is the managing shareholder of our firm, which he joined in 1991. He is a licensed CPA in Oregon and Washington focusing on providing tax, accounting, and consulting services to closely-held businesses and business owners with the goal of minimizing their tax burdens. Prior to joining the firm Norm held positions including staff CPA for regional and international accounting firms in Portland, Oregon. Norm is a member of the Washington Society of CPAs, the National Society of Accountants and the Oregon Association of Independent Accountants. 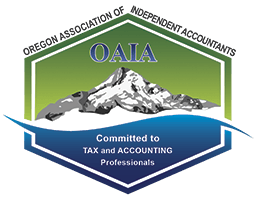 Norm currently serves on the board for the Oregon Association of Independent Accountants. He is a charter member and past president of the Rotary Club of Camas-Washougal and the Washougal Schools Foundation. Norm is also a past president of the Camas-Washougal Chamber of Commerce and served six years as a member of the National Alumni Board for the University of Portland. Norm graduated from the University of Portland in 1986 with a Bachelor's Degree in Accounting. In 1994 he earned a Master's Degree in Taxation from Portland State University. Lisa, Norm's wife and companion since they first met in an accounting class in 1982, has worked her entire career in banking and lending services. Norm and Lisa have one son, Will. Since 1999, the Paulson family has hosted seven Rotary and AFS youth exchange students from Japan, Taiwan, Thailand, Argentina, England, and Switzerland. When he can find the free time, Norm pursues hobbies include fishing, boating, camping and traveling with his family.